I wanted to let you know a little about the person who owns this company, so I decided to insert a little information about myself. 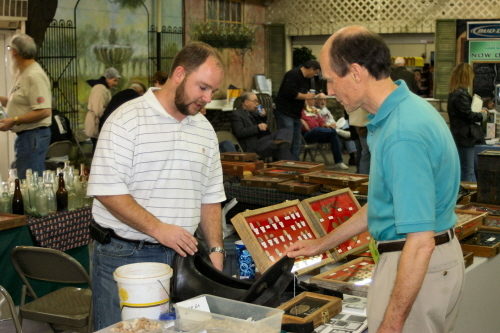 I have been dealing in Civil War artifacts for about 10 years and like to relic hunt, but I'd rather just buy and sell. The story behind my business started with selling a truck to a man named Pat Jones who later became a good friend. I was always interested in the Civil War but it wasn't until I had a conversation with Mr. Jones that it lit a fire of interest. Mr. Jones ask me, "What do you know about the Civil War?" and also said "You mean you live right in the middle of some of the best history about the Civil War, and you don't know that much about it?" Those questions changed how I looked at the Civil War and started my adventure of research and learning. I now have this website to enhance my connection to American Civil War relics and the people who love them. I am up front in every aspect with the items I have listed on my site so if you have any question regarding an artifact, please feel free to contact me. 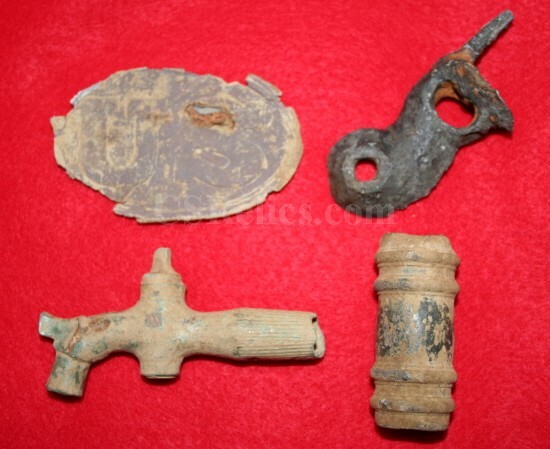 This is some of my Civil War relics that I have found in Iuka, And Corinth, And other pictures from Civil War Shows.